Whenever the search marketing industry gets wind of a Google algorithm update, it becomes a major topic of discussion. Articles are inevitably published on the specifics of the latest update and how to recover lost rankings for penalized sites. With the exception of historic changes to Google’s algorithm, such as the Panda and Penguin updates that fundamentally changed the way website publishers had to approach their optimization strategies, algorithm updates should not receive nearly as much attention as they currently do. 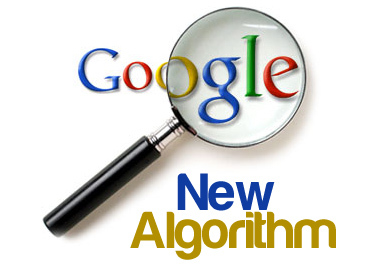 Google updates its algorithm constantly. According to Moz, Google changes its algorithm 500 to 600 times per year. However, we only know about the updates that Google wants us to know about. Why? So, we can help Google serve higher-quality search results to their users. Essentially, Google’s algorithm updates remind us to constantly improve our websites. In return, we are rewarded with better rankings and more traffic. By making your website better, you’re making Google Search better, which is good for both Google’s bottom line and yours. Google’s primary objective is to make money. Google’s core business is advertising, and Google wants people to use its search engine in order to sell advertising via pay-per-click (PPC) ads. In order to sell PPC ads, Google.com must generate traffic, and a lot of it. Google knows people are more inclined to use a search engine that provides them with higher quality search results. Thus, providing high-quality search results ensures Google.com generates enough traffic to sell PPC ads. Understanding Google’s objectives makes having a successful long-term SEO strategy much easier to obtain. You can spend a lot of time analyzing Google’s algorithm updates and attempt to outsmart them, which will inevitably fail, or you can implement a strategy that helps Google achieve its objectives of providing users with high-quality search results so it can sell PPC ads, and succeed. Google has a list of "10 things we know to be true" within the Company Overview section of its website. The first item on this list says, Focus on the user, and all else will follow. Google Search certainly incorporates this philosophy, and when it comes to your website, the same is true. Focus on providing your end-users with the content and experience they expect from your website, and all else (i.e., rankings, traffic, and conversions) will follow. This is not to say you should completely ignore Google algorithm updates when they’re announced. It simply means as long as your SEO strategy is in line with Google’s objectives, and focuses on providing users with great content and a positive user-experience, algorithm changes should not be a concern.